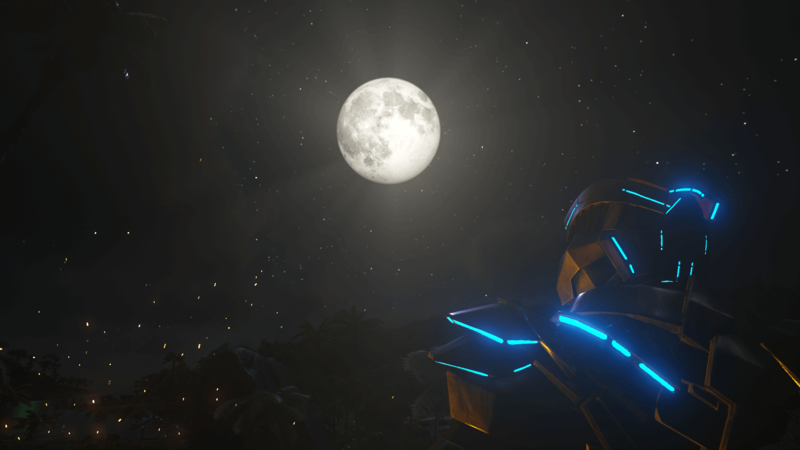 Not only the creatures in ARK: Survival Evolved will get bionic / tek tier skins, but also the players! Today Jat released some screenshots of the armor they are currently working on for the tek tier. You can find these images below. We think they look awesome, and if they can be painted the same way as the bionic rex skin and Giganotosaurus, it would mean we get to see armors with all kinds of colored lights. What do you guys think? Do you like the armor? Or is it something that you wouldn’t want to see added to ARK at all? I agree I don’t think it’s needed. Thanks for the effort though. If I could wish something to be added I would like gamertag Name to be logged in the admin screen for personal dedicated servers. Perhaps a history log. I’ll save my other two wishes for later use. Thanks again And keep up the good work. Its tooo dope do it!!! Want to stay primitive then tay on a prim server. I want tek armor!!!! don’t add it! i like ark the way it is, where i depend mostly on dinosaurs. the giga took the fun out of strategic pvp, the mosasaur took out the fun of the ocean being the easiest place to survive in, (lol) the only beneficial thing about this would be a teleporter so we could get places faster. Add it and the people that don’t want the best armor Don’t have to get it. It already had a high tech influence with the implant in your arm and the Towers, it makes sense seeing more items in the game relating to this tech level. I’m sure once we know more about the story and what created the ark, and what placed the species implant in us to watch and monitor us, we’ll see more of these futuristic items. We are what we are. Creatures that want more & more. If my mind is in this game its to learn & excel. as almost all tribes we dress & strut our stuff. If we can shoot & paint,why not learn the ‘glow-power’. otherwise why the Rex suit? & what is with the thing in my arm? Put a challenge to the glow-power, to have to ability is another step closer to the item in the arm. ya now, somthing within as well as out of reacg. Or ya can leave it out. I personally dig it. As long as it’s not over powered, but if it is I think it would be better as a armor skin rather than an actual item. BUT…. I would much rather have dino armor in the game to craft for my battle mounts. That’s just me though. Being that we still have yet to see a backstory to this game, I think it’s a little early to say we don’t need it. I can tell already that this game needs a serious rebalancing once all everything is added, and at the moment, yes it’s not really needed. But in the future, you may not be able to get by with just metal or riot armor. Of course I’m also speaking from the PvE perspective, as I’m not big on PvP. I’m also questioning just how people stranded with nothing have the capability to advance in technology so fast. But as I said, there is still a backstory to release to all this. I’m assuming the key to finding better armors may in the future may come from venturing into alien ruins and such, and I believe this will be where the blueprints or ability to make fancy glowing armor may come from. The Armor does look good, and as long as we can change the light color as you can with any good tricolor LED, I like it. You should make “tek pieces” that are drops from the dragon boss in the pillar terminals. You already have a special chip in your arm and you get care packages from the sky and same tech so it should have been implimented earlier!! I have almost 3k hours into ark. I have done every conceivable thing and I think the Tek armor will be really cool. 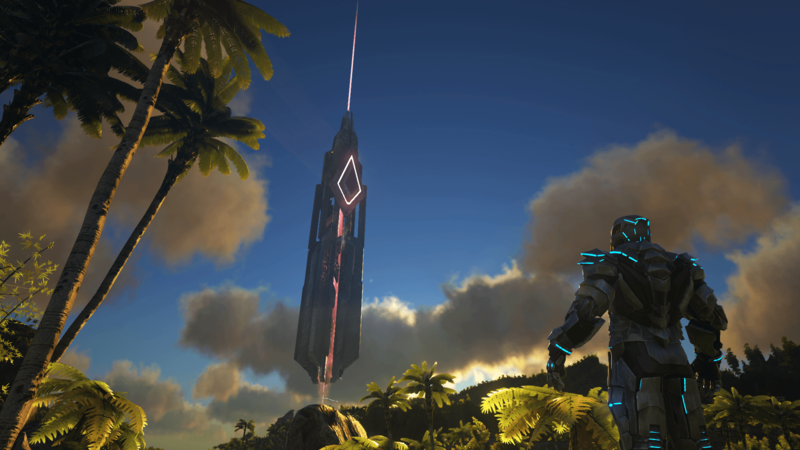 Its a little over kill to put lasers on a giga bit I love it and Can t wait to get back into ark. I am upset the The VR crashes with my oculus every time I click on it, cause that would be even cooler. Keep it up guys.